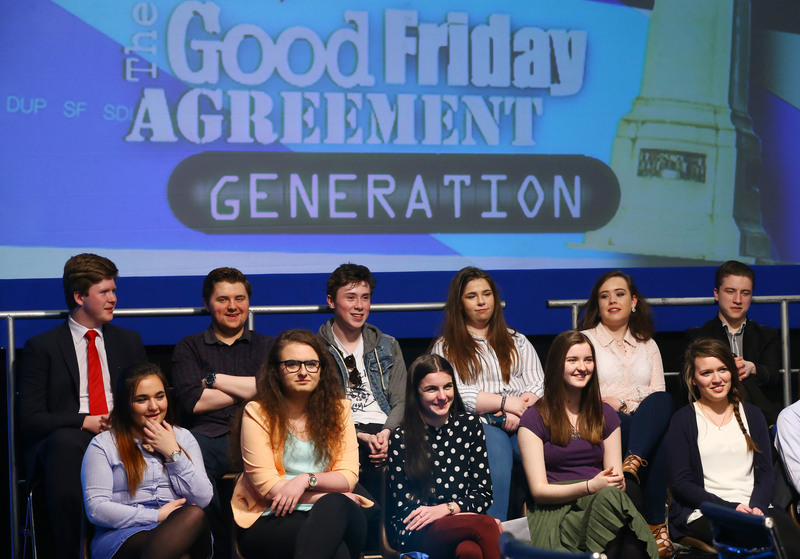 Young people interviewed on the BBC ahead of the 2016 Assembly election. THE 1998 Agreement is not, at its core, a radical document. It does not foresee a long-term future for Northern Ireland that is anything more imaginative than its move from the jurisdiction of one state into that of another. There would always be, it assumes, a minority in the region of Northern Ireland who would prefer to be part of a different state. As such, the Agreement does not contravene the traditional conception of nation-statehood. Nation-state ideologies and identities are not diluted or decommissioned, instead they are redefined for new, shared challenges. The British-Irish relationship – Strand 3 of the Agreement – is best understood, therefore, as no mere afterthought, nor a ‘sop’ to unionism. It is both the bedrock of the Agreement and its driving force. This is quite deliberate as it means that, at least in principle, the people in Northern Ireland can continue to view either London or Dublin as their political lodestar. According to this logic, if the two governments can find common cause, it is absolutely possible for the people and parties of Northern Ireland to do likewise. In this way, the Agreement was never about conflict ‘resolution’; it is about accommodation. There is no victor, there is no vanquished; there is, instead, ‘parity of esteem’ and respect for the ‘totality of relations’ across these islands. Accepting the legitimacy of the views of ‘both’ main communities in Northern Ireland (even as they appear contradict one another) is the state of limbo that manages to keep the peace process afloat. And it is in this respect that the creative elements of the Agreement come to the fore. The late Professor Elizabeth Meehan saw in the 1998 Agreement ‘a system of overlapping and interlocking loyalties’ that offered ‘new opportunities to come to terms with one another’. Such opportunities come through the right to be recognised as both British and Irish; the multiple, interdependent levels of governance; equality of civil, political, social and cultural rights. Twenty years on, many such aspects have become taken for granted by the next generation. But the Agreement generation does not yet have full ownership of the Agreement nor of the Northern Ireland it has shaped. Their future remains dependent on the high level representation of ‘British’ and ‘Irish’. If the two governments can speak with one voice on Northern Ireland, the space for compromise grows. Any tension in that relationship puts pressure on the threads keeping Northern Ireland in its fragile state of limbo. And the UK’s withdrawal from the EU puts profound pressure on these threads in constitutional, political, legal and economic terms. Seeming to force the choice of being closer to Britain or Ireland propels Northern Ireland back into dangerous territory of competing claims over the Irish border. 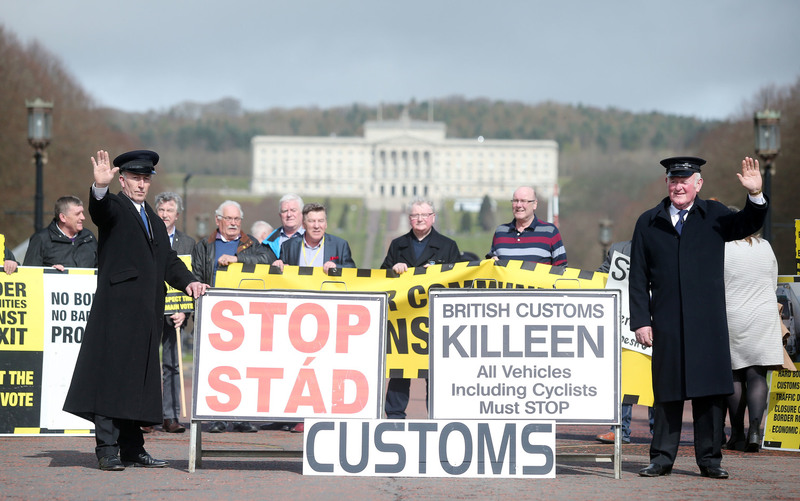 Border Communities Against BREXIT hold a protest at Stormont on the day Article 50 is triggered by the Prime Minister Theresa May last year. Gillespie saw the Agreement in both its UK-wide and EU context. Domestically, it was part of Tony Blair’s ambitious project of constitutional change in the UK. This change was no less significant than the rewording of Articles 2 and 3 in the Irish Constitution. Devolution was to “maintain rather than break-up the union”; the sovereignty of the United Kingdom was one that thrived on its internal diversity. Thus, the only means by which Brexit can be navigated without causing profound harm to the 1998 Agreement is via a course that builds upon the principle of decentralisation within the UK. All of which (as per the Agreement) need not compromise the constitutional or national integrity of the British state. The impact of Brexit on the 1998 Agreement comes first and foremost through the changing nature and temperament of the UK state, and then through the quality of its relationship with Ireland. Only after this do we come to the matter of what the EU has meant for the context and content Agreement itself – the details of which are being avidly scrutinised by officials, lawyers and advisers in Brussels, London and Dublin. As Britain’s European Question unravels and falls wide open, it is no surprise that the Irish Question is once more treacherously exposed. Dr Katy Hayward is Reader in Sociology at Queen's University Belfast and the author of Bordering on Brexit (2017).